LaSalle Hotel Properties has purchased the Serrano Hotel in San Francisco, a Kimpton Hotels and Restaurants property, for $71.5 million. LaSalle funded the transaction with borrowings from its senior unsecured credit facility. The 236-room, full-service hotel is located in San Francisco’s Theater District. The property includes 19 suites, which average 500 square feet. The property also features Jasper’s Corner Tap & Kitchen, 2,553 square feet of meeting space in five flexible meeting and banquet rooms. Originally built in 1928, the building was closed in 1998 and completely renovated. It reopened as the Serrano Hotel in 1999. 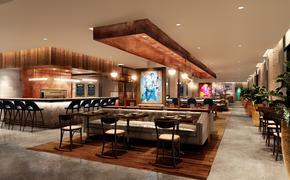 Kimpton will continue to manage and operate the property.